From functional to frivolous, there are a lot of great accessories for Apple’s iPad and iPad 2. Here are some of my favorites. My favorite Bluetooth keyboard/case for the iPad 2, the iLuv iCK826 Case for iPad 2 ($61.13) provides both protection and productivity. On the inside there's a Bluetooth keyboard for those times when I need to get real work done. When it's all play, I can simply detach the keyboard and leave it at home. 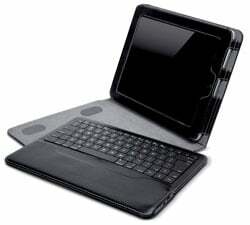 The leatherette case has a built-in stand for easy viewing at my preferred angle. If you’re looking for a pen that you can also use as a stylus, the Kensington Virtuoso Metro Stylus ($17.99) is a great option. 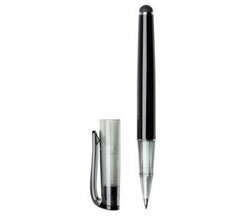 The weight and thickness are perfect for putting pen to paper. When I need a stylus, I can simply flip the pen over to use the touch tip on my iPad. It’s hard to find a quality portable Bluetooth speaker, but Bose has managed to produce one with the Bose SoundLink Wireless Mobile Speaker . Measuring 5.1-inches high, 9.6-inches wide and 1.9-inches deep, and weighing less than three pounds, it will fit in a small bag, but produce enough sound for a small party. 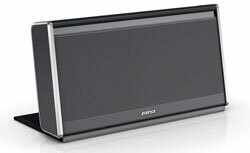 The speaker comes with a dark gray nylon cover or dark brown leather cover ($299.95 and $349.95 on Bose.com). Additional covers in red or purple nylon ($29.95) and burgundy or tan leather ($49.95) are available. I have purchased lots of videos and movies through iTunes, but I have the pick and choose which ones to put on my iPad because of its limited storage. 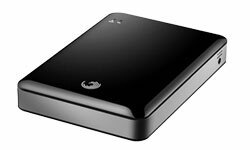 With the 500GB Seagate GoFlex Satellite Mobile Wireless Storage ($181.48), though, I can access my whole library. Through Wi-Fi, the small hard drive can stream video to my iPad, iPhone and iPod touch simultaneously for up to 5 hours. Anyone who’s used a video game controller or portable game system will appreciate that ease and precision brought to iPad gaming with the Ten One Design Fling Game Controller ($9.99). Just apply the small joystick over the area where the onscreen control appears. It’s not uncommon to find sticky fingerprints gracing the screen of my iPad by the end of an outing, so I pack a screen cleaner when I travel, the Monster Cable CleanTouch Pen ($19.26). To clean, I simply rub the screen with the pen, let the solution sit for a few seconds and then wipe it off with the integrated cleaning cloth. There are plenty of great photo editing apps for the iPad, so there’s no need to bring a computer for editing on the go. 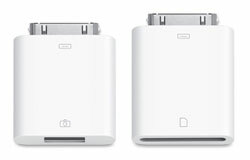 And getting my photos onto my iPad for editing is a snap with the Apple iPad Camera Connection Kit ($29). Pop your SD memory card into the SD card reader adapter or connect your camera directly to the iPad with the USB connector. The USB connector can be used with other devices, like USB keyboards and headsets. My kids love to create their own masterpieces using the various art apps I’ve downloaded for our iPad, and with the Nomad Brush Stylus ($24) they can graduate from finger painting to water colors and oils—with a real paintbrush. 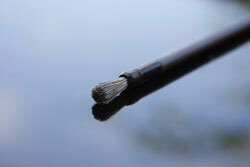 The brush tip is 0.7-inches long and is made from a blend of natural and synthetic fibers.